Chris Gardner is the Vice President of Member Services for the Automotive Aftermarket Suppliers Association. He has an extensive automotive industry background, having edited an industry trade publication, launched an industry trade show and conference, and even has two automotive patents to his credit. He currently oversees technology, IP, events and operations for AASA. 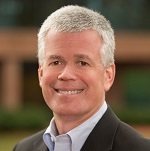 Part of Chris’ responsibility is to help members advance their business interests in the areas of technology – in computer, process and operational areas – as well as in preparing for changing vehicle technologies. He has presented at numerous industry events, written dozens of articles and white papers, and oversees the production of the aftermarket’s leading technology event. Chris is leading AASA’s new initiative to create an event and organization for suppliers of emerging technologies (ADAS, telematics, plug-in devices, predictive, mobile apps, sensors, ECUs, etc.) for aftermarket applications.